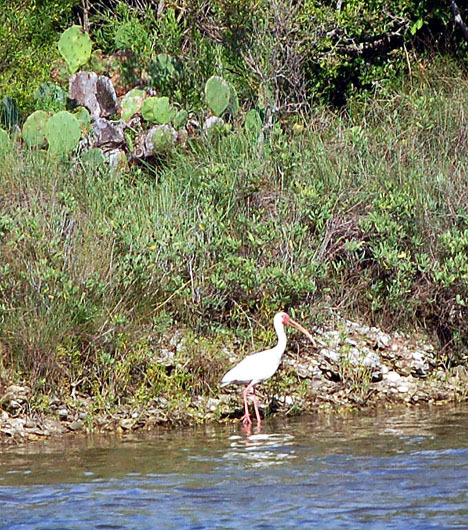 7/30/06 to the left of Comal St.
White Ibis are commonly seen in the marsh hunting aquatic insects, and crustaceans, and will grab a fish if given the opportunity. Male and female build a platform nest and have one brood per year. 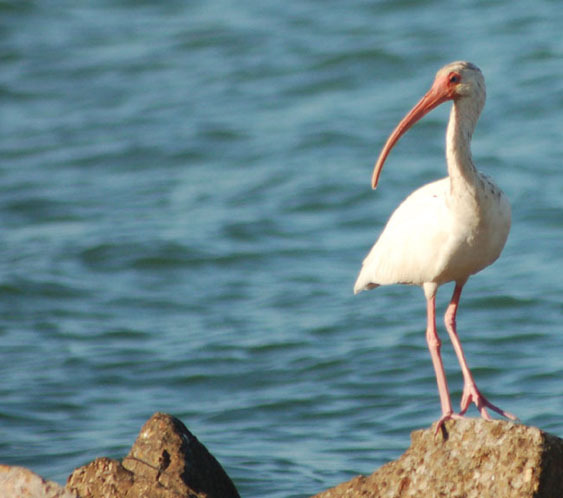 Juvenile birds may appear to be a little off color to the parent which is white.